The Avanti MX 65 has been developed for beginning to intermediate recreational skiers seeking all day warmth and comfort. A high tech, bi-injected construction provides exceptional support combined with easy entry functionality. 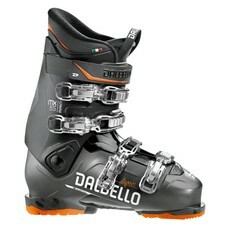 It's nimble and lightweight, with dynamic control characteristics adjusted to accelerate skier improvement. Aluminum buckles, dual density toe and heel, and a highly cushioned innerboot all combine to give the improving skier warmth, comfort, and performance.